ROADMAP aspires to create the conditions for an open collaboration that yields consensual and efficient uses of RWE for the benefit of Alzheimer’s Disease patients and their caregivers. 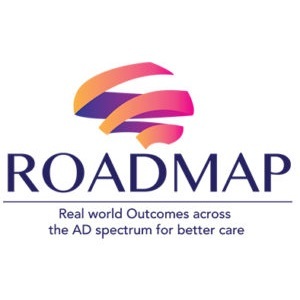 ROADMAP aims to deliver a series of data integration methods and tools for patient outcomes, which will provide the foundation for the future European RWE platform on AD. This year the ROADMAP general assembly was held in Barcelona during April 25th-26th. The consortium partners met to review ROADMAP achievements, and to discuss next steps. Key deliverables expected from the project are: 1) Develop recommendations on RWE appropriate AD‐related cognitive, functional, and behavioural endpoints, 2) Identify data sources & outline a data integration strategy for RWE outcomes, 3) Develop new methods for collecting RWE data to improve AD healthcare value, 4) Make recommendations on disease progression/health economic modelling. Synapse CEO Carlos Díaz and Johan van der Lei (Erasmus MC) presented the data cube approach – a way of visualising the European landscape in terms of data availability for AD research. The Data Cube integrates three axes: data sources, outcome measures, and disease stages. ROADMAP is funded under IMI-JU 2 and has a budget of EUR 8.21 million and 26 partners led by the University of Oxford and Novartis.